Cleanliness is the key to staying safe and sound. 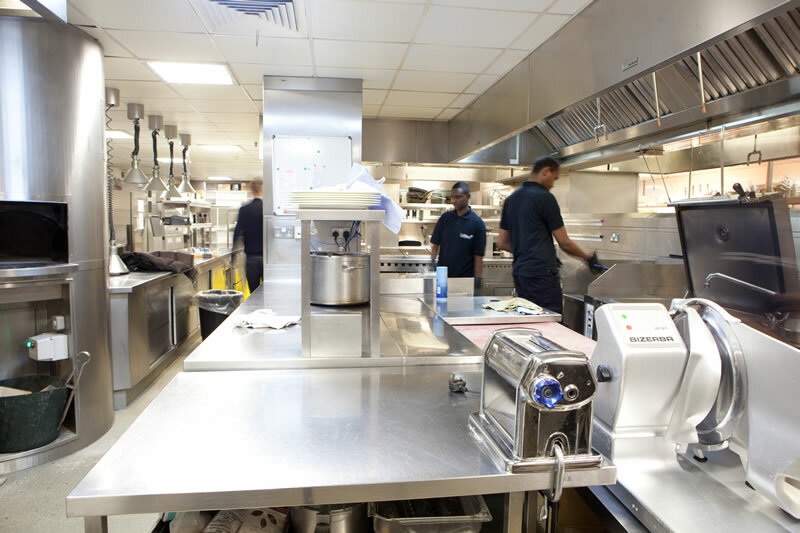 Whether it is the kitchen of your house of a commercial kitchen, it is equally important to keep it clean and hygienic. Kitchen canopy fan cleaning should be done regularly to ensure a safe environment for everyone in the building. A kitchen is a place which is used regularly and for the commercial kitchen, it is used even more frequently. So, the kitchen canopy gets heated during the cooking process as flame, smoke, steam, grease all pass through the kitchen canopy. It is very important to keep the kitchen canopy fan clean by getting rid of the dirt and grease to be able to maintain a proper ventilation in the building and hence, keep it at per with the working standards. What Happens If the Canopy Fan Is Not Cleaned Regularly? If the canopy fan is not cleaned regularly, dirt and grease get accumulated in the fan and it becomes unable to discharge all the fumes, odour, oil. The air inside the kitchen becomes heavy, laden with all these elements. The humidity level also increases inside the kitchen. If the air is not passed properly through the kitchen canopy, the inside temperature also rises as the air doesn't get recycled properly. So, the environment inside the kitchen becomes unhygienic for the people who work there. Also, it may lead to fatal accidents due to less air flow in the kitchen, increased heat, and flammability of the grease. And the entire establishment including the building and the people there would be at risk. TR19 is a standard of kitchen cleanliness, which all the professional kitchens should adhere to. This standard was developed by BESA (Building Engineering Services Association) to avoid any kind of hazards, which might affect the general people or the people who work in the building. This emphasises on cleaning of kitchen extraction system comprising of the canopy, canopy fan, discharge duct etc. and maintain a proper ventilation in the kitchen. When you follow this TR19 standard, you will need to ensure that the grease thickness throughout the duct system is always less than 500um. This will prevent any kind of fire hazard to occur. Why Hire Companies Offering Professional Kitchen Canopy Fan Cleaning? Copyright © 2015 Best Tech..All rights reserved. Powered By: Popular IT Services Ltd.